Fixed base accepts Porter‑Cable type template guides. SAVE $30! Works great with most 1/4" shank router bits! 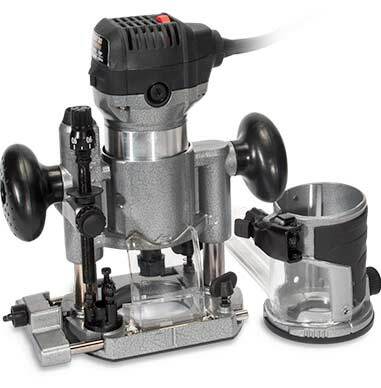 This heavy duty, variable speed compact laminate trimmer/palm router has a durable, 2‑1/2" diameter, machined aluminum housing. High Performance 1 HP Motor! The high performance 1‑HP motor speed is adjustable from 10,000 rpm to 30,000 rpm via a speed control dial on the top of the motor housing. Etched into the aluminum housing is a 1" long rule marked in 1/16" and 1mm increments. 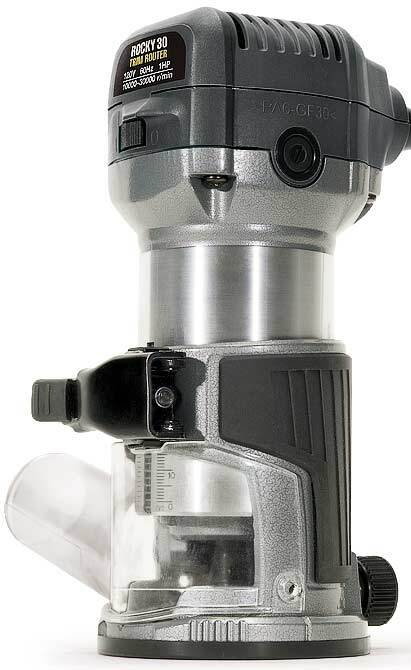 The double insulated motor features a spindle-locking button to facilitate single wrench bit changes. The metal base uses a rack and pinion system to adjust the height of the motor and a flip lever to lock the motor at the desired height. In addition, a rubber pad partially wraps the base to provide a positive gripping surface when holding the router in your palm. 120 VAC. For owners of the old style Rocky 30 who would like to use 1‑3/16" Porter-Cable style template guides. 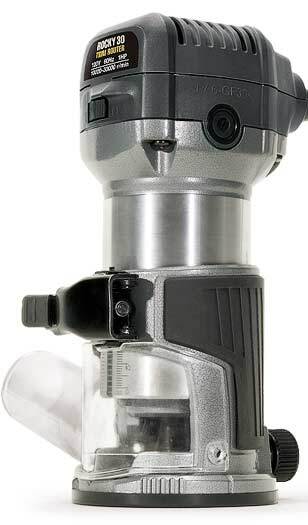 The 1-HP motor speed is adjustable from 10,000 rpm to 30,000 rpm. 1" long rule etched into the aluminum housing marked in 1/16" and 1mm increments. I have 5 bigger routers right now and have wanted a smaller router for some time, but didn’t really need one. I have a need right now to construct a large walk in closet organizer where this would be a big help. I read a LOT of reviews of the various makes online, and tried out some in the big box stores. Was leaning towards the compact Hitachi when I received the MLCS mailer and saw this. Then I did some more research. I live close, so I tried this out in the store first. I knew its limitations before I bought it. For the price/quality and included accessories, this tool cannot be touched in the market today. It is virtually identical to the Grizzly and Makita compact routers, so must come out of same factory. I did note that the Makita appears to have a thicker cord protector, but all pretty much the same except for colors. I bought the whole kit 2 weeks ago and have used the fixed base for about a dozen different uses and the plunge base for about 6 different uses so far. I like it; would buy it again. Time will tell if it holds up. I did buy the brass adapter for the plunge base, as I wanted to be able to use my PC bushings in either base. The standard PC bushings fit both the fixed base (need nothing else) and plunge base adapter great, but really hard to tighten the nut in the fixed base (not much room in there). The material for the bottom of the bases is kind of soft, so it does scratch easily. Not a problem for me, all of my other routers did that too, and I made bigger, thicker clear polycarbonate bases for each anyway (lets more light in there too). The mounting bases screws are 4 x.7 mm, and was able to easily buy longer ones at local hardware store for my new bases. The plunge had a fair amount of play in it, but I shoved a small piece of .003 thick plastic shim in one side and that helped a lot. I have not plunged a mortise yet, just used it to make 1/8 deep passes for dados), so time will tell. I really like the fact that the plunge lever is unlocked when up, and locked when down. This is what I am used to on my big Hitachi on my router table, and all of the other tools on market today seem to be opposite (unlocked when held down, locked when up). Both of the edge guides are nice (but cheaply made like all the other brands). I added wood strips to both to make them longer. Have not used either of the dust ports (don't have anything small enough that connects to it yet), but at least they are included. Have not taken heavy cuts with it (biggest was 3/4 wide by 1/2 deep), but have not had any issues with power or heating up. Mostly trimming hardwood edges flush on plywood, routing 3/4 dados, and various radius cutters. Can be guided easily with one hand, very stable, and reasonably quiet (or at least quieter than my old Craftsman routers were). Have not used the lower speed settings, I seem to like the way it cuts on 4 and 5 with my 1/4 and 1/2 wide bits. I also bought the Makita compact router tilt base, and this router fits & works in there exactly. Have not used it yet, but just wanted the capability in case it is ever needed. 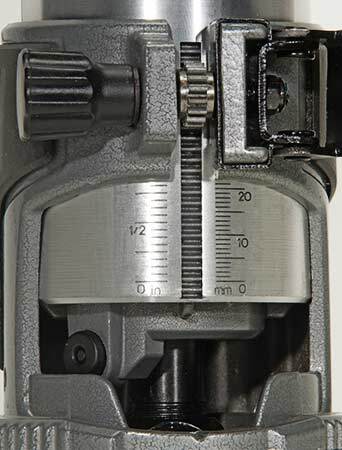 The button on the plunge base to release the depth rod has a very stiff spring, and there is no micro adjustment on the fixed base. Bought this little router because I've been impressed with the whole concept of 1hp routers, I have another brand in my CNC and liked that enough to purchase the same brand for general use rather than having to unmounts one of my two table routers. But I still kept finding myself having to dismount a router because I didn't have a plunge base. When I saw the rocky 30 with the plunge base on sale for less than $100 I decided to give it a try. I wish this had been my first 1hp router! 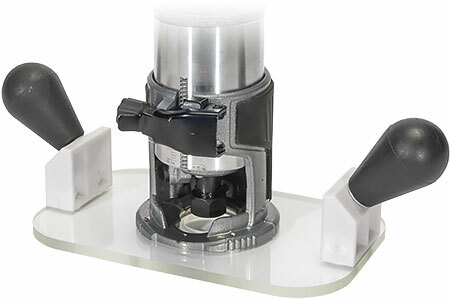 Solidly built and ALL the accessories, Template guide bushing is a real bonus and the trimmer accessory is like having a pin router or having a bearing on every router bit if desired. A capability to route circles using the edge guide is a nice innovation that didn't cost anybody anything more than thinking to drill one more hole in the guide. Dust collection too. I can tell already that this little guy will get a lot of use so its a good thing they give you a set of spare carbon brushes. Oh, by the way the plunge base looks like it will be useful too. This is a solid little tool. 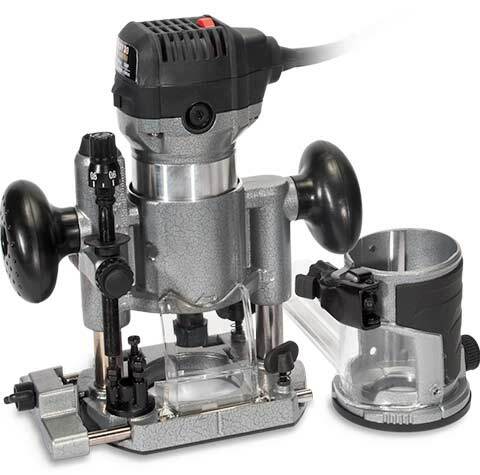 I have 3 other trim routers and this one is just as good as the big name routers and a fraction of the price. Very handy tool, right now I have it set up in the pantograph and I use it to do freehand engraving in wood. I like the height adjustment as one of the best and easiest to use of all the routers I own. the cam lock is the best that I have seen and really a smooth running motor with lots of power. It is a solid bargain for the price I expect it to last a long time. Increase the versatility of your Rocky 30 router with the plunge base. SAVE $15! 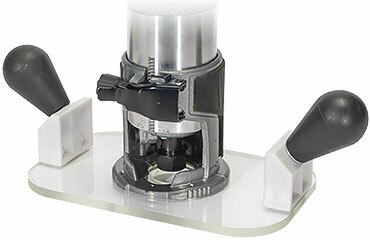 Includes the plunge base (shown installed at right with the Rocky 30) features a quick release, three turret position depth stop for making repetitive or incremental cuts. Provides up to 1‑1/2" of travel. The oval base measures 4‑1/4" x 5‑3/4" providing a sturdy routing platform. Ergonomically shaped handles ensure a secure and comfortable grip during use. Includes an edge guide and tough plastic dust shield. Rocky 30 with fixed base sold separately. Includes Plunge Base, Edge Guide and Plastic Shield. SAVE $10! 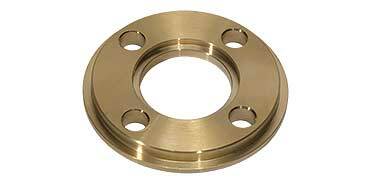 Solid Brass template for the Rocky Plunge Base allows for the use of standard guide bushings. Rocky 30 with Plunge and Fixed Base Kit shown. I bought the whole kit 2 weeks ago and have used the plunge base for about 6 different uses so far. I basically like it, but it could be improved. First off, I tried this out in the store first, so I knew its limitations before I bought it. For the price/quality, this tool cannot be touched in the market today. I did buy the brass adapter. To the previous reviewer, yes the screws were tight, but they did come out without damage (I guess you may need a better phillips driver tool?). The plastic material for the bottom is kind of soft, so it does scratch easily (if that bother you). Not a problem for me, as I made a bigger, thicker clear polycarbonate base anyway (lets more light in there too). The edge guide is nice. Have not used the dust port (don't have anything small enough that connects to it yet), but at least it is included. Showed it to my buddy, who has the Makita. Note that if you have a Grizzly or Makita compact router it will fit this base exactly. I rate it three # 3 now as I am just getting started with this router & new plunger base with the Brass adapter ring. The screws are to soft and way too tight to remove, which means you don't install the adapter ring. I think it a great tool to have and enjoy it free hand, but I have plunger projects lined up for it. So I need a fix to the soft screws to remove them. I love problems but hate to wait to use my new tools. The large 5" x 8" acrylic base adds support to the Rocky 30. Two ergonomically angled handles for better routing control. The 1/4" thick base is designed to accept standard guide bushings. 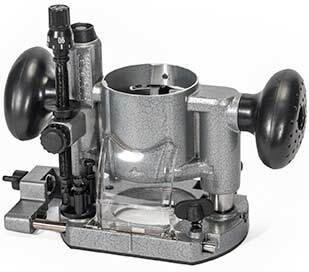 Pre-drilled for the Rocky 30, but will fit most laminate trimmers or compact routers. Rocky 30 Router with fixed base is sold separately. List $39.95. Pre-drilled for the Rocky 30 router.